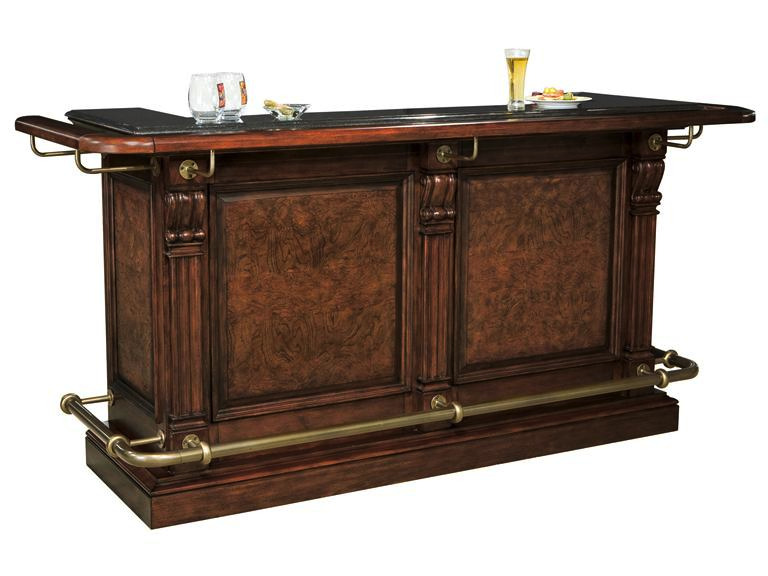 HM693-027, Cheers Bar Cabinet, by Howard Miller. The Hampton Cherry finished Cheers bar wine cabinet, comes designed with one-piece granite counter top. A beautiful piece of wine furniture that has ample room for storage of wine and spirits. Cheers Bar Stool (HM697-027): Brown faux leather seat cushion & antique brass-tone metal footrests.